Interviews with Haslam's, Tampa Bay History Center & Schakolad! It has been a busy week promoting The 33rd Annual Antiquarian Book Fair happening March 14 - 16th at the historic Coliseum. 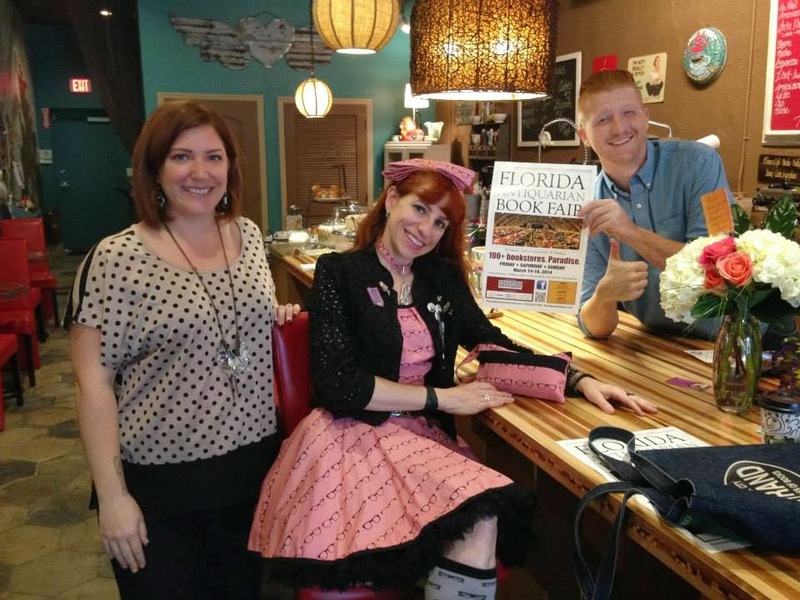 In addition to putting up book fair posters and visiting local businesses in downtown St. Petersburg, I have also had the opportunity to interview some of my favorite people in the community to learn more about them and their favorite books growing up, all with my mission to unite Tampa Bay in literacy and a love of reading! Thanks to Ray Hinst at Haslam's bookstore, Rodney Kite-Powell at the Tampa Bay History Center, and Lori Clapp at Schakolad Chocolate Factory - please visit them and show them your support! For a direct link to my interview with Ray at Haslam's, click here. For a direct link to my interview with Rodney at the Tampa Bay History Center, click here. For a direct link to my interview with Lori at Schakolad Chocolate Factory, click here. With Sara & David at Brew D Licious. Might have to adopt this Poky Little Puppy! Putting up a book fair poster at Kilwins. For more information about the book fair, please visit www.FloridaBooksellers.com and of course, I'm sure to keep you up to date here at www.StandUpLibrarian.com! For a direct link of the video, click here. Happy Valentine's Day everyone! 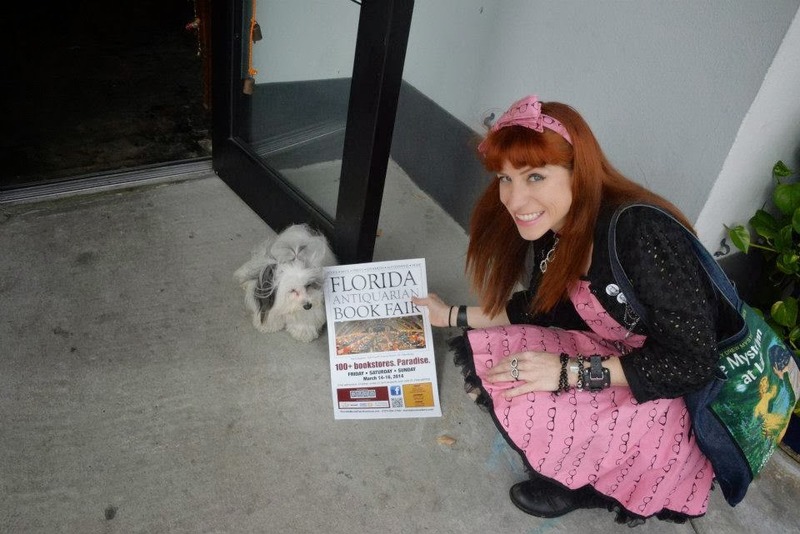 If there is one thing I love more than flowers & chocolates, it is The Florida Antiquarian Book Fair! 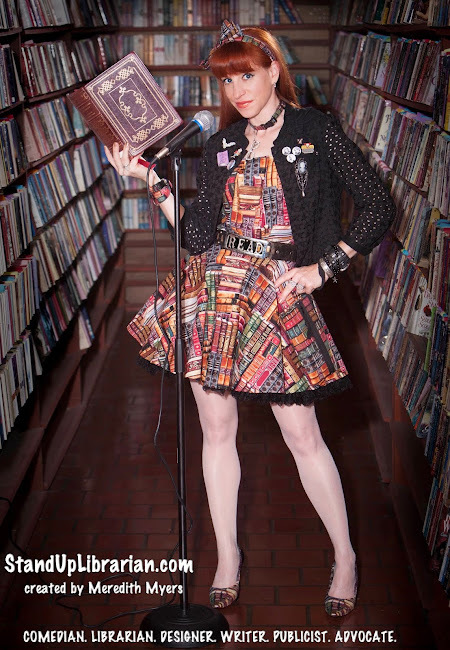 It has books, supports libraries, and it was the place where I sold my very first literary purse back in 2012. I am so honored that this year they have asked me to be their official spokesperson to help promote literacy throughout Tampa Bay. Incorporating this year’s 'Pages of Wonder' theme celebrating the enduring charm and influence of children’s literature, I will utilize the weeks leading up to the fair to unite the community thru interviews with local book lovers and appearances at some of my favorite hot spots, which will then be incorporated into a series of online videos. 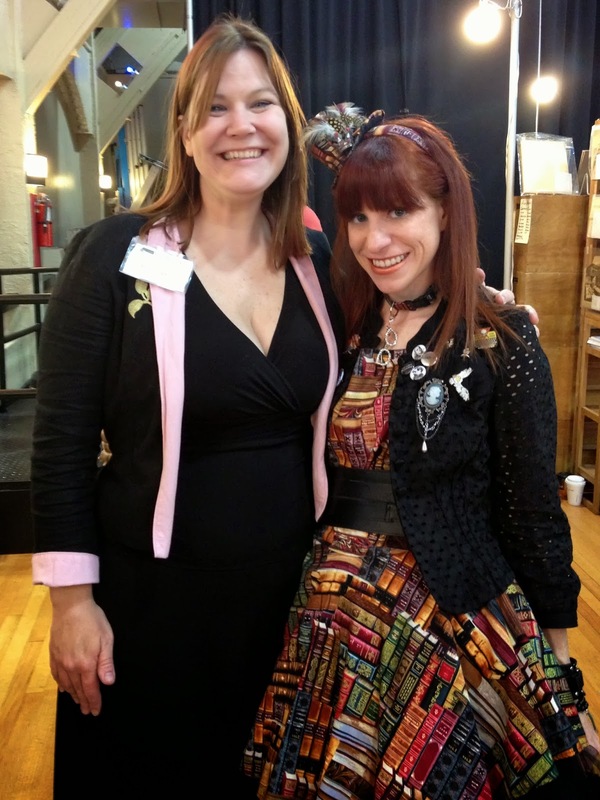 The Florida Antiquarian Book Fair is the oldest and largest fair of its kind in the Southeastern United States and features more than one hundred specialized dealers from all over the country. Visitors will find books of every age and about every conceivable topic, with additional materials including maps, prints, postcards, ephemera, autographs and other paper collectibles. 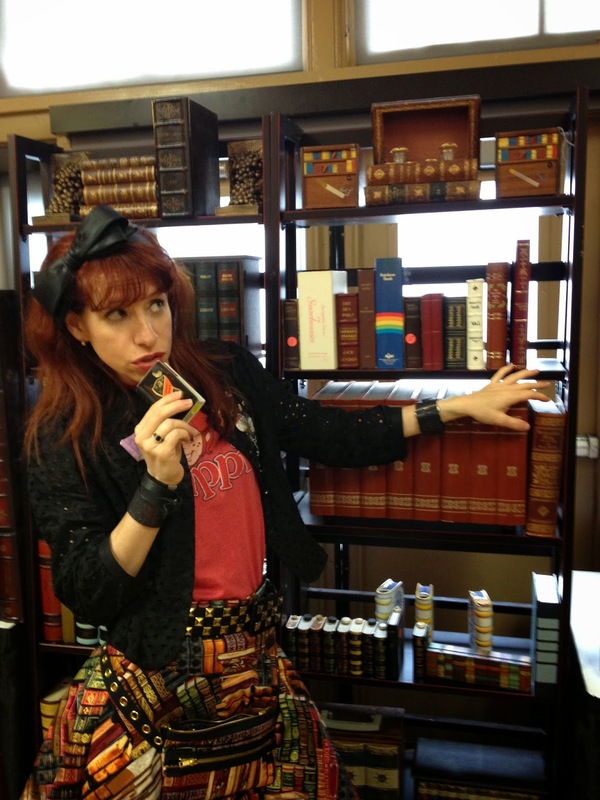 And if things couldn't get any better, I will also have a booth where my literary fashions and accessories at StandUpLibrarianDesigns.com will be available for all of you! The fair runs from March 14 - 16th at the historic Coliseum located at 535 Fourth Avenue North in downtown St. Petersburg with ticket sales benefiting the St Petersburg Public Library. Money going to a library? Jeez, this thing keeps getting better and better! For more information and to enjoy my video interviews leading up to the fair, please visit www.FloridaBooksellers.com and of course, I'm sure to keep you up to date here at www.StandUpLibrarian.com! at the book fair in 2013.